Lighter than the Goldwing, narrower than a panniered adventure bike, and over 40 degrees of lean. Think of the F6B as a Wing that’s gone through a mid-life crisis and come out fitter and meaner. The F6B is capable of a 42° lean angle before dragging its mid-mount pegs, but once you get it heaved over, it’s not going to change direction or lean angle quickly. There's no ABS which seems like a glaring omission on a touring bike, but the stock 320mm discs and four-piston calipers deliver plenty of feel and, once you’ve loaded that front contact patch with all 382kg, breaking traction isn’t a realistic expectation. The 116bhp is delivered so smoothly that traction control or any of that gadgetry is unnecessary (which is just as well because the F6B has none). Combine that with the smooth, momentous torque from the 1832cc flat-six engine - 125ftlb, which is considerably more than the Honda Fireblade’s 82ftlb - and you have a solid recipe for fast progress. The Goldwing has been around for quite some time now and they're incredibly well put together. 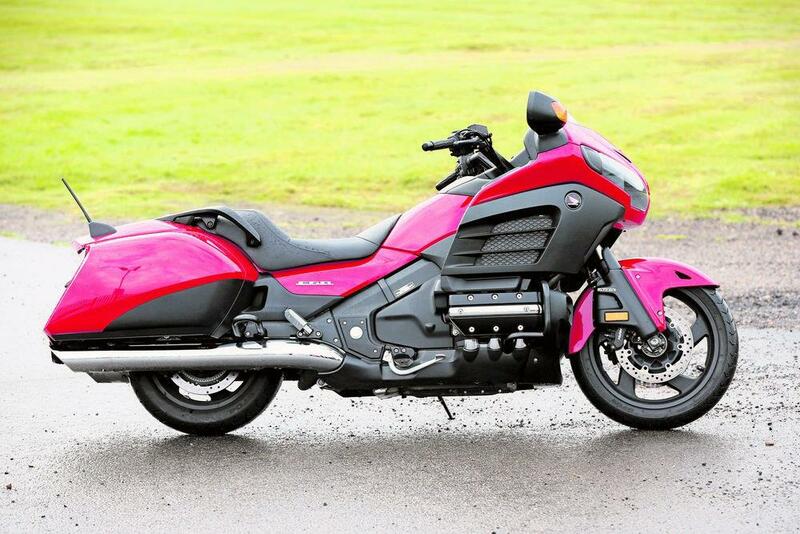 The engine's fairly unstressed and the standard Goldwing has an average of 4.8 out of 5 in our owner reviews. At £20,399, the F6B isn't cheap but then Goldwings never were. But this bike was designed for the American market and only a few have been imported to the UK so you're buying exclusivity as well as a whole lot of motorcycle. Honda has tried to emphasise sportiness and made the bike lighter, lither and more stylish. It chopped the Wing’s screen, fitted a lower, longer seat, ditched the top box and electric reverse, replaced the electric preload adjuster for the rear shock with a remote hydraulic item, turned the mirrors upside down and cleaned up the plastics to show off the flat-six engine. The F6B makes do without electronics, traction control, and ABS. But with a cockpit like the Starship Enterprise, there’s still masses to play with. No owners have yet reviewed the HONDA F6B (2013-on).